Production at Nissans plant in Barcelona was down 29.5 percent in 2008. BARCELONA -- Nissans manufacturing site here has been closed for most of the past three months, but that doesnt mean nothing is happening. Far from it. Executives are actually fighting to save the factory. If we want to maintain production in western Europe, we have to increase productivity here, said Fumiaki Matsumoto, vice president of Nissans industrial operations in Spain. Theres no other way we can compete for new vehicles with Nissan factories in Brazil or Turkey or Thailand, Matsumoto told Automotive News Europe during a recent visit. The Barcelona factory is the oldest Japanese investment in the European automotive industry. Nissan bought the plant in 1980 from Motor Iberica, which was then controlled by tractor maker Massey-Ferguson, and had success for decades using low-cost Spanish labor to produce a range of vans and 4x4s. In 2002, the Japanese carmaker added the X-83 van project, which was both the first cross-badging plan with alliance partner Renault, as well as the first time the French carmaker had worked in a Japanese-run factory. 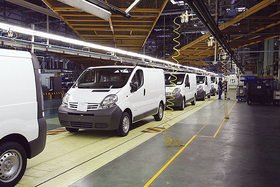 The van -- badged Primastar for Nissan, Trafic for Renault and Vivaro for Opel/Vauxhall -- is the top-selling product at the Barcelona factory, but demand has plummeted as credit dried up and the economy slowed across Europe. The shift away from SUVs has also hit the other vehicles manufactured here since 2005: the Pathfinder large SUV and Navarra pickup truck. 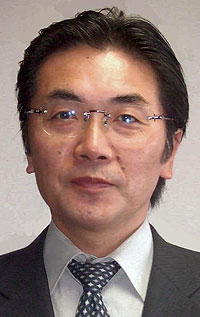 Nissans Matsumoto is focused on cost cuts and productivity gains. Overall production was down 29.5 percent in 2008, to 157,171 units. This followed a record year of 222,765 units in 2007. Matsumoto expects things to get worse this year. The credit crunch will be solved, but the end of the housing bubble and the shift away from high-CO2 vehicles like SUVs will be permanent. We simply dont know how bad it may get, Matsumoto said. Nissans latest plan to save the Barcelona factory would limit production to 128,000 units a year on two shifts functioning at a minimum 80 percent capacity. The restructuring calls for a 35 percent headcount reduction, from 4,275 employees today down to about 2,800 workers by March 15. However, it also holds out the promise of a new vehicle for the factory starting in 2012. Nissan generally allows two years planning before a new vehicle goes into production. With both the Navarra and Pathfinder slated to go out of production in 2012, employees in Barcelona know that 2010 will be a make-or-break year. Unions and the Spanish government have accepted lengthy shutdown periods as well as the recently released restructuring plan. Nissans Barcelona-based engineering team is using shutdown days to improve processes and boost productivity.